Petrochemical and basic chemicals testing. 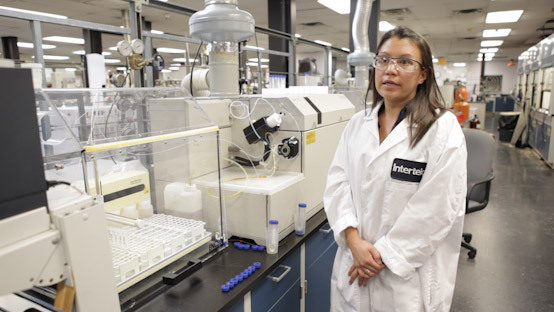 Petrochemical and other chemicals testing and analysis are conducted by Intertek laboratories across the world to ASTM, ISO, IP, and other accepted chemical industry standards and protocols. Petrochemical testing can extend to trace and ultra-trace level analysis. 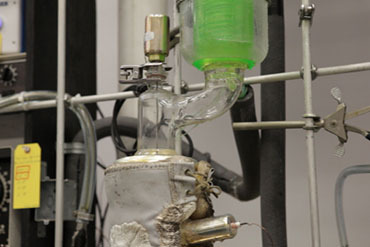 Chemical testing expertise includes purity & component, trace composition, trace contamination, quality control, troubleshooting, and other chemical analysis expertise. Petrochemicals tested include the entire complex range of hydrocarbon based chemicals derived from petroleum, natural gas, coal, and biomass. Primary petrochemicals tested include olefins, aromatics, and synthesis gas.